The Blues began their Premier League journey on a good note this time. Antonio Conte made his team win two times in the first two matches. 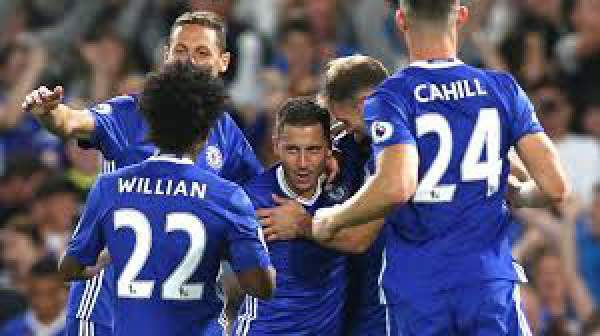 With doing the needed thing and not getting noticed, Chelsea is ready to get it done with the League One team. The fans got excited when Conte (who coached Italy in the Euro 2016) was appointed to coach this team too. Everyone started expecting next big things. Till now, it has defeated West Ham and Watford in this season via late goals. The newly appointed coach will hope to get the result of this match into their favor with a lot ease as compared to the last two games. Let’s see how Italians do this time. It will be interesting to see if Conte plays with the same playing lineup or do some changes to give chance to other players as well. “A loss leaves a bad spot inside you. It can lead to decrease in confidence. Thus, it becomes very important to win and raise the team’s confidence with every victory,” Conte said after a close win against Watford. “For all these reasons, it is all important to get a right start which was required. Now, with the two wins, we can continue playing in the smae direction and winning momentum,” he added. Costa will become the center of attraction for all the either reasons, be it right or wrong. It won’t be completely a surprise if Spain International starts with giving Michy Batshuayi a chance. Cesc Fabregas is another name in the list who be a part of the playing XI. Thus, Conte can do with his first choice players. Bristol Rovers has got a perfect chance to play and win. They weren’t a league team until a few years ago. So, it is a nothing to lose game for them. Sometimes, it becomes the best things for the players as they don’t have any pressure. They get the chance to perform freely without any tension of the end result. The CHE vs BRI EFL Cup game is set to start at 7.45 p.m. BST (12.15 a.m. IST) start. There will be no live coverage, but it can listened online on Chelsea TV and Gas Player HD.